"Jeff, Who Lives at Home" is a film we've been itching to see since the buzz out of Toronto last year. Now that we've gotten our first look, the film's March 16 release can't come fast enough. 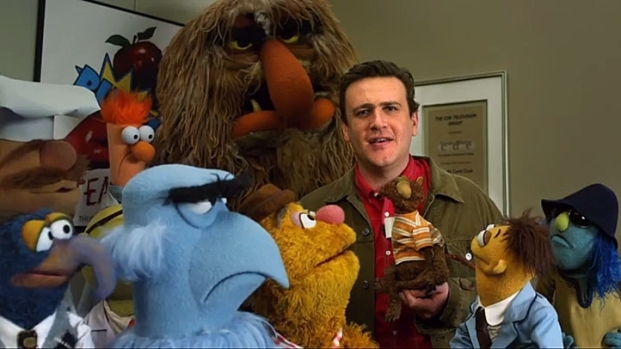 From the writing-directing team of Jay and Mark Duplass, the film stars Jason Segel as the titular 30-something, a man frozen by a perpetual existential crisis--or possibly just laziness. When his mother (Susan Sarandon) demands he leave the house on an errand, he runs into his brother Pat (Ed Helms), and together they discover that Pat's wife (Judy Greer) may be having an affair. We loved the Duplass brothers' 2010 film, "Cyrus," which starred Jonah Hill as a 20-something living at home with his mother, played by Marisa Tomei, the two of them winding up in a demented love triangle with John C. Reilly. That said, we hope their next film doesn't center around a 40-something who lives at home with his mother.